Edgar V. Cauyan was one of the pioneer staff of the software development division of MSC. To further enrich his knowledge he enrolled in short-term courses while he was an employee at MSC. In 1992, he registered in the two-year computer technology course, finished it in 1994, then continued the third year which he finished in 1995. MSC welcomes another year of excellence as four new teachers arrived to share their knowledge. Give your child the MSC Advantage in Math, Science, and Computing! Enrollment for Saturday Classes is ongoing! Limited slots only! In a short span of less than two years, the Jesusa Building along A. Flores St. which housed MSC on the second floor (and Monte de Piedad Savings Bank on the first floor) in 1989 became too small for the growing number of MSC students. In October 1991, MSC transferred to a bigger site along M. Paulino St. The trick here is to recognize that 5/9 is the same as 10/18. Hence after deducting 32, we add a zero (multiply by 10) to the result and successively dividing by 2 and 9 (MSC 11 – Dividing by 9) to effectively divide by 18. 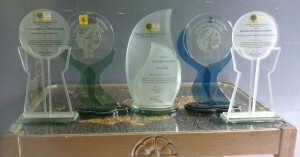 Ever since the Philippine Schools Cyberfair competition was launched in 2001, MSC High School has been a consistent winner. In the International Cyberfair competiton, MSC has also been consistently winning in the largest inter-school web design contest. The International schools CyberFair, which started in 1996 is an award-winning, authentic learning program used by schools and youth organizations around the world. Students conduct research about their local communities and use digital media to publish their findings online. Recognition is given to the best projects in each of eight categories: local leaders, businesses, community organizations, historical landmarks, environment, music, art, and local specialties. With the advent of digital cameras, phonecams, webcams, and even pencams, it is very common to see photo printing shops everywhere. But did you know that MSC was the first to offer this service to San Pableños? Most of us want to avoid the number 9 in almost all calculations. 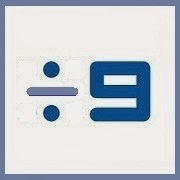 But we can make calculations easier by thinking of 9 as (10 – 1). This fact is particularly useful in division by 9. Every 10 contains a 9 and a remainder of 1. So every multiple of ten that is less than 90 will have a quotient and remainder equal to its tens digit. This entry was posted in About, Alumni, History, MSC, Newsletter and tagged 25 MSC, 25 MSC Newsletter, 25th Foundation Day, convert Fahrenheit to Celcius, Digital Photo Printing Services, Edgar Cauyan, Math short cuts, MSC, MSC Imaging Solutions, san pablo on October 14, 2014 by mscadmin.